Most of the time, setting up a car at Foreign Affairs Motorsport means that the vehicle is ready for the track, and also to be driven on the street. As a Porsche performance shop, it is up to us to make sure that all aspects of the vehicle’s functioning are taken into account. 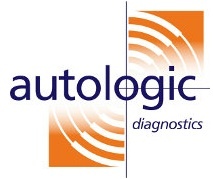 With nearly 40 years’ experience in the industry, Foreign Affairs Motorsport are experts at providing a holistic and thorough race track services as well as vehicle performance upgrades. Customization can sometimes lead to a decrease in the value of a vehicle, in cases where original parts are replaced with fake parts, for example. However, if it is done right, creating different set-ups to those found in the system of a car straight out of the factory can result in a much more efficient vehicle. 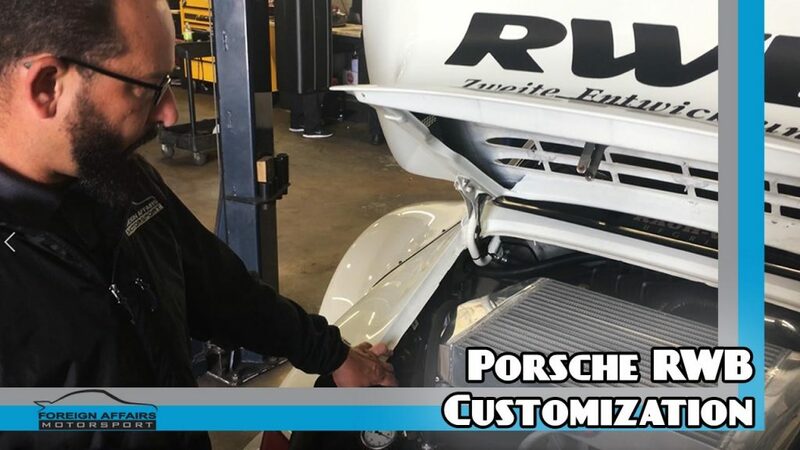 Porsche performance shops take great care to provide this kind of service and Foreign Affairs Motorsport is proud to present its RWB 964 Turbo Kit, a 3.3 L with a 1992 Turbo. As our new episode of FAMTactics shows, this RWB is an exciting showcase. The features include, beyond the basic specs, a large intercooler, AC compressor (with an efficient injector system to avoid any loss of power) and a Brembo caliper. Tune in for our final episode of FAMTactics season 1 on Friday 23 February 2018, on the Foreign Affairs YouTube channel, Facebook page, and Foreign Affairs Motorsport website! BOBBY VARELA: Hi, I am Bobby Varela from Foreign Affairs Motorsport and welcome to another installment of FAMTactics. Today we are with the RWB. This is a 1992 turbo, C2 turbo, 3.3 L. This car’s been set up for the track. As you can see here, nice big intercooler. You’ll notice that there is still an AC compressor – that’s so if he has to tote his girlfriend around in the car she won’t complain. This car is really fast, a lot of fun, set up for the track. If you come around here, peer inside in this section right here, you can see slightly different setup than what comes from factory. The injection system on this car was set up to be a lot more efficient so we can grab a lot more power. As you work your way around the vehicle you notice that it is quite wide. This is the RWB 964 turbo kit. So, quite the extension on the fender which allows us to have a much larger wheel and tire, giving us a much larger tire contact pad for adhesion. And if you peer inside you’ll notice a nice beautiful orange caliper by Brembo. So, vehicle has your basic track set up with Recaro seats, harness belts, quick release steering wheel… just the essentials. This vehicle also is currently having an electrical issue with the headlights. So, we’re tending to them as well too because this vehicle is still driven on the street. So, it must be fully compliant and safe, and that’s what we do. Thank you and have a great day.